A mysterious and beguiling love story with elements of Poe, Twain, Hemingway, and Greek mythology, drawn in moody black-and-white charcoal, this new paperback edition of the New York Times Best-Selling graphic novel by author/illustrator Mark Siegel is a study in romance, atmosphere, and suspense. 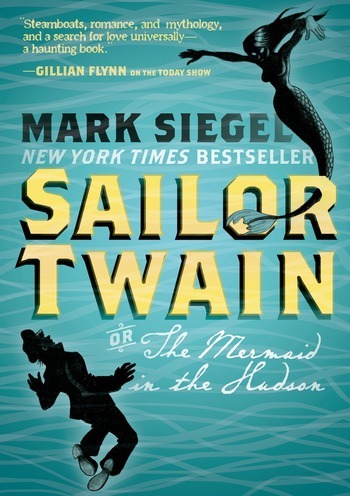 Don't miss Sailor Twain. Mark Siegel shows his drawing process for Sailor Twain, drawing Captain Twain and the mermaid in charcoal.